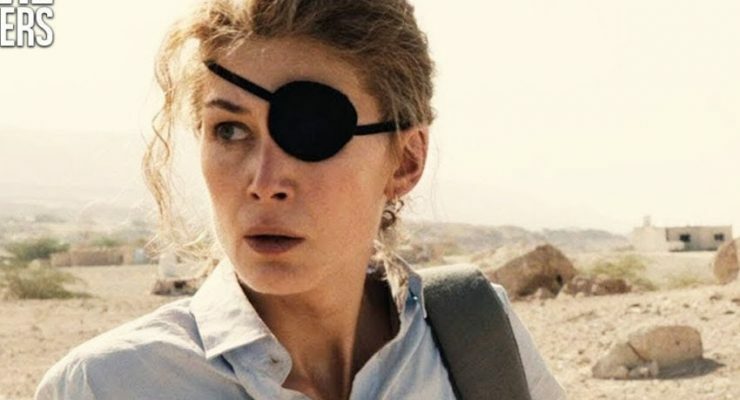 A Private War - Upstate Films, Ltd.
Based on real life foreign correspondent Marie Colvin (Rosamund Pike) lauded for her courage as she bore witness to wars across the world. She was the most celebrated war correspondent of our era – a woman as comfortable downing martinis with high society as she is staring down warlords and fleeing from gunfire in E.Timor, the Balkans, Sri Lanka, Syria. Driven by an enduring desire to give voice to the voiceless, Colvin charges into danger, constantly testing the limits between bravery and bravado. She was not interested in the politics, strategy or weaponry; only the effects on the people she regarded as innocents. “These are people who have no voice,” she said. “I feel I have a moral responsibility towards them, that it would be cowardly to ignore them. If journalists have a chance to save their lives, they should do so.” And she did. A pulse-pounding story told from the front-lines of the most dangerous battlefields in the world, A PRIVATE WAR chronicles Colvin’s extraordinary life. Brought to the screen by Academy Award nominee and critically acclaimed documentarian Matthew Heineman in his first narrative feature.